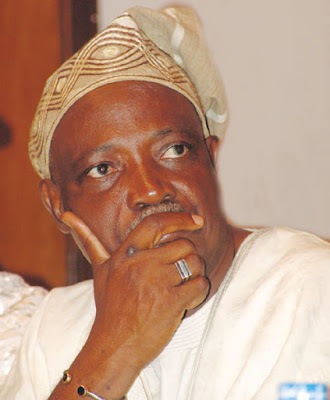 The Economic and Financial Crimes Commission (EFCC) yesterday urged a Federal High Court in Lagos to order the arrest of a former Governor of Oyo State, Rasheed Ladoja, for allegedly refusing to appear before the court for his trial over a N4.7 billion money laundering charge instituted against him by the Commission. The request was made by the prosecuting counsel, Olabisi Oluwafemi, who insisted that unless the court issued the beach warrant the former governor would continue to ignore the court summons served on him by the anti-graft agency. It will be recalled that the EFCC had in November 2008 arraigned Ladoja along with his former aide, Chief Waheed Akanbi, before Justice Ramat Mohammed, who was then serving at the Lagos Division of the Federal High Court. The had accused the two men of conspiring to convert properties and resources derived from an alleged illegal act, with the intention of concealing their illicit origin. The EFCC also alleged that Ladoja used N42m out of the proceeds to purchase an Armoured Land Cruiser Jeep, and remitted about £600,000 to one Bimpe Ladoja in London. Ladoja and Akanbi had both pleaded not guilty to the charges at the trial court. However, after the arraignment, the defendants asked the court to quash the charge against them, they argued that the charge did not disclose a prima facie case against them. After the court dismissed the application, Ladoja had through his former lawyer, Chief Wole Olanipekun (SAN) appealed against the decision before the Lagos division of the Court of Appeal. But, the Appellate Court in its judgement delivered by Justice Sidi Bage disallowed the appeal and ordered the former governor to continue his trial at the lower court.